In the coastal city of Halifax, Nova Scotia you’ll find bagpipers, cobblestone streets and craft beers galore, but did you know this east coast town also offers a mean list of pizzerias? We’ve collected five of Halifax’s best pizza restaurants, for when you need a touch of Italy in the grey Canadian winter. Located in the trendy Hydrostone Market in a narrow, lightly decorated space, Salvatore’s Pizzaiolo Trattoria has won multiple recognitions as Halifax’s best pizza. Owner Chris Cuddihy considers his restaurant a “purist” establishment and does not allow for substitutions or additions to his specialty pizzas and only allows for three extra toppings on their original pizza. Carefully constructed, the pizzas on offer are a sublime mingling of fresh ingredients and bold, clean flavors. Featured at different points as a bronze, silver and gold winner in The Coast’s famous “Best of Halifax” contest and on Food Network’s “You Gotta Eat Here!” Salvatore’s Pizzaiolo tasty offerings are making waves nationwide. With its clean, modern design and nostalgic striped awning, Morris East is a familiar sight on the corner of Barrington and Morris Street in downtown Halifax. This small restaurant nestled between brick front businesses and condo buildings offers some of Halifax’s finest pizza. Wood fired thin crust pizzas made with fresh, local ingredients are Morris East’s claim to fame. Offering everything from the classic Margherita to their ‘Peaches’ pizza, made with goat cheese, shallots, prosciutto and peaches and topped with a rosemary maple aioli, Morris East offers an adventure for the taste buds with every bite. Morris East also offers all their pizzas on gluten free crusts and also has the option of Bring Your Own Bottle for a $15 corkage fee! A new contender, Mother’s Pizza opened in April 2012 in the north end of Halifax to accolades from customers. Neighbour to top contender Salvatore’s, Mother’s Pizza offers family style seating in a light-filled space with impeccable service and even a custom light ale blended exclusively for Mother’s Pizza by local brewer Garrison Brewery. Their nine or 16-inch pizzas are ripe with flavours and several interesting ingredient mixes, such as The Kitchen Sink, a pizza with six toppings ranging from onions and mozzarella to thuringer sausage and zucchini. Still a young restaurant, Mother’s Pizza has already placed in The Coast’s Best of Halifax contest and has loving reviews posted by happy customers on TripAdvisor and Yelp. Originally opened in St. John’s, Newfoundland, Piatto Pizzeria is a pie with high standards. 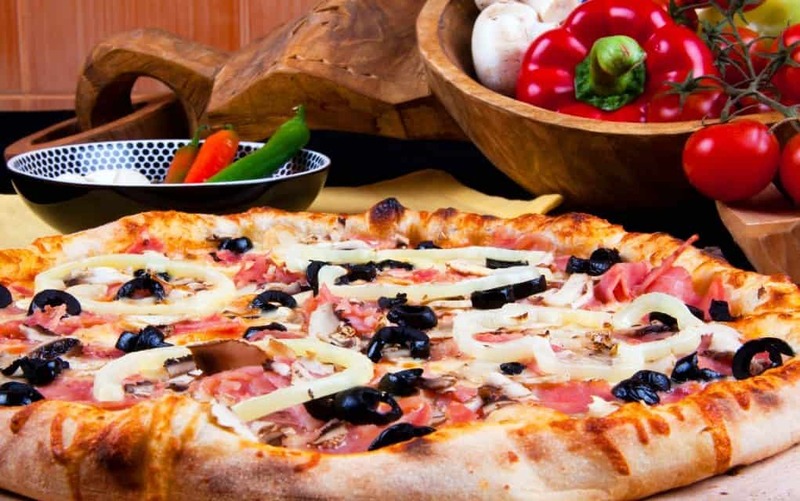 A celebrated thin-crust pizza restaurant that devotes itself to all things Italian, Piatto’s Verace Pizza Napoletana certification (a seal of approval from an Italian governing association in Naples) distinguishes itself as a rare breed pizzeria. Piatto believes in each pizza being a work of art, and their flavor profiles are great examples of this. Offering both ‘white’ (a base of EVOO) and ‘red’ pizzas (a base of San Marzano tomato sauce), their pizzas are classic tastes of Italy with Margherita, Marinara and Siciliana offerings. An ever-changing menu means getting bored is out of the question. Need to wet your whistle while you’re here? Piatto also offers a well-balanced wine list and tastings every month. Representing central Halifax is Bramoso Gourmet Pizzeria, a pizzeria devoted to health, sustainability and local food. Self-defined as having ‘open-minded menus’, Bramoso is willing to explore flavor combinations you may not find in our other contenders. Catering to every diet, Bramoso offers option for gluten-free, dairy-free and vegan pizzas that will please every discerning customer. Take for example their veggie/traditional pizza that offers a base of fresh garlic puree and EVOO, a layer of baby spinach, tomatoes and tender, marinated artichoke hearts and finished with feta cheese and mozzarella and a sprinkling of oregano, you won’t even remember to miss the meat.